We look forward to adding your name below! Ted really knows his stuff, found a major problem in roof leak in the attic that could have gone undetected for a long time and caused major damage and expenses for us in the new home. Ted Nelson is professional and friendly in just the right measure. He discovered something about the home we were going to purchase that we would have never guessed. We did not purchase the home because of it. His report was thorough and fair. He stood by his work even when challenged by the sellers realtor. If Ted had been less knowledgeable and confident in his work, we would have purchased a home that was much less valuable than we were led to believe. We would have had some serious buyers remorse. We were more than happy with Teds service; he went above and beyond what you expect from people these days. And we will heed Teds advise in the future get the home inspected BEFORE you put in an offer! It wasn’t easy to break the contract. 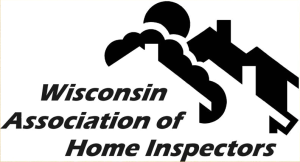 I am writing in regards to the home inspection that was done on 09/18/2014. I just want to express to you how wonderful it is to have someone do a thorough home inspection. The report that was provided is very informative. Please know we will definitely use this report as a guide for improvements now and in the near future. The pictures are so helpful. It allows the owners to actually “remember” the recommendations and know exactly where and what needs to be done. I’ll admit….I was not there, but reading the report I felt like I was. When we bought our first home we had “Inspector not identified“. We thought since he was so well known he would do a thorough job. Unfortunately, he did not. In fact, we found plenty wrong on the home that was missed. Especially the attic. He never actually went inside the attic to let us know that the insulation was covering the vents. He said everything looked good. Well, the fan did not work and after many years we had condensation problems. Missing this cost us plenty. There were many electrical issues that were missed as well. Good thing my father-in-law is an electrician. I can’t thank you enough. This is a home my grandfather built. He did everything except the electric on the home. He was a plumber by trade and built everything solid. I’m thankful that my husband chose you to inspect our home so we can continue keeping my grandparents home “solid”, and a home my family was and will forever be proud of. I was thoroughly impressed with your services. You were on time (actually early), thorough in your inspection, open to my questions, prompt in providing the report, and exceptionally clear and instructive in your written communication. Not only did you meet my high expectations for the inspection, you exceeded them by providing me with an illustrated document that also forecasts replacement time lines of major household equipment. Your photos of the property and photo of an example installation were icing on the cake! I feel very confident in recommending you to any one who desires an explicit, thorough, informative and well-organized report of a property. I just wanted to say thank you for our home inspection. I thought you did a great job. You took your time and did a thorough job and found allot of things for us. 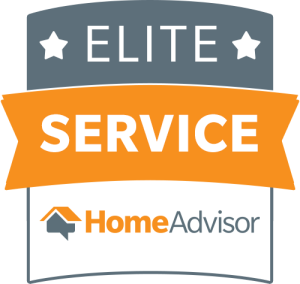 I am glad my first home inspection experience, and being a first time buyer, was a positive experience. I liked how the report was set up including the pictures you took. I really appreciated the tips you gave me on how I could fix the problem and you even gave me examples of things you did to your house. 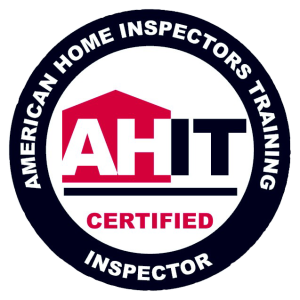 I would happily refer you to others looking for a home inspection, and will keep you in mind for future inspections. I don’t know if you remember me, but you inspected a house for me off 103rd and Mill Road about a month ago. I decided that there was just too much wrong with that house, so I found another house that I would like you to inspect if possible. I thought you really did a thorough job. You don’t by chance offer discounts for 2nd time customers, do you? If you don’t, that’s fine. I still would really like you to inspect this other house that I have put in an offer for. I will give you as much information as I can. We were happy with the inspection. Thank you for being so thorough and for promptly sending out the report. I know Wendy and Jeremy appreciated the information you provided. I will certainly keep you in mind for future inspections. I just wanted to say thanks for the info. You were correct on the shut off switch outside. I am certain that you saved me 100.00 that I would have had to pay to have a service guy come out. Not to mention that would of pissed me off to find out I just had to flip a switch. Anyway’s, thanks again and let me know if you ever need anything that a grunt can take care of, obviously maintenance of a house I would not be to helpful with, but Marine Corps oriented. Thx for the very professional and thorough inspection report. The pictures that went along with the details of some potential problem areas were extremely helpful. I did have my electrician give me an estimate of replacing the breaker box – first on my list! Again – thanks so much for a job well done. I received the report with the pictures. Thank you for the detailed inspection report. I can see what needs to be updated and fixed. I like the report. Good job. I would like to thank you again for your time and for your report. I’ve notice your report is very detailed which is admirable. Wished I had used you in purchasing my main home; however, in the future of building my portfolio in investing property I will be using you again.